Ovation Reserve. An elevated, bespoke service platform for your VIPs, designed to plug into your existing travel program for reporting, duty of care and vendor negotiations. C-level and executive business travelers, who are often underserved by both mega travel management companies and online travel providers, are now given the level of service and customized care that befits their unique travel requirements with Ovation Reserve. As featured in The Beat, C-level and executive traveler needs are more fine-grained than the vast majority. Allow Ovation Reserve to service your VIP travelers, providing bespoke, white-glove service for your top tier. Not to worry - we understand the needs of mature travel programs and will integrate all of the VIP data with your current agency platforms in order for you to continue to manage costs, track travelers and consolidate all of your worldwide travel data. Ovation Reserve executive travelers enjoy signature services such as expedited answer of incoming calls/emails/chat by dedicated VIP travel consultants 24/7, coordination of value-added upgrades on flights and hotel rooms and proactive reconfirmation of every trip. 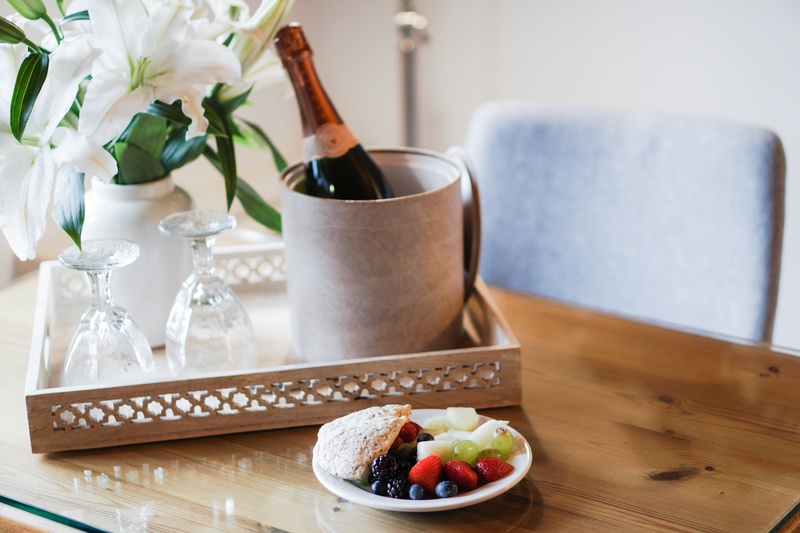 Ovation Reserve travelers are taken care of, from securing all personal preferences, to special requests and thoughtful niceties arranged with care on every travel request. Once booked, trips are monitored exhaustively to ensure Ovation Reserve travelers are immediately accommodated as needs arise during the course of a trip – At Ovation Reserve, we make it our business to know what your C-level and executive travelers need before they even know they need us. 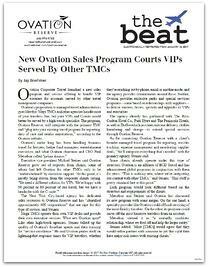 Ovation’s service commitment has been the mainstay of the company for over three decades. Ovation has built a legendary team of experienced travel consultants who put travelers first, any time – day or night. It’s how we were founded, it’s what we believe and it’s how we behave. Ovation Reserve selectively partners with complementary organizations to further enhance the VIP travel experience. These partnerships are based on parallel thinking of luxury experience with a singular vision. From esteemed properties worldwide including The Ritz-Carlton Hotel Company, Park Hyatt hotels and Peninsula Hotels…to DUFL wardrobe cleaning, packing, shipping and e-closet services. And, through a partnership with Charitybuzz, Ovation Reserve travelers will have exclusive access to behind the scenes celebrity experiences not available to the public while simultaneously benefiting their favorite charitable causes. Allow Ovation Reserve to provide first in class service, tailored to each VIP traveler’s unique needs.